Sheila Ann (Wicks) Young, the daughter of Homer and Gladys (Trooien) Wicks, was born on November 1, 1936, along with her twin sister, Sharon, on a farm in rural Kanawha, Iowa. She was raised and educated in various communities and graduated from Sacred Heart High School in Sioux City in 1955. In 1956, Shy married Celestin Joseph Loux, Jr. and they lived in Illinois for a few years before returning to Eagle Grove, they later divorced. In 1977, Shy married Gordon Young and they divorced in 1982. Many may also remember her special relationship with Melvin “Woody” Elwood. Shy worked many years as a bar tender in Eagle Grove, including at the “109”, Alibi and Smoke Shop. She worked 22 years as the head cook at the Rotary Ann Home, retiring when she was 71 years old. Shy liked crocheting, word searches, watching game shows, camping, fishing, boating and just being at Home. She also enjoyed holiday family gatherings and barbeques and always looked forward to Friday night “game night” with her kids and grandkids. 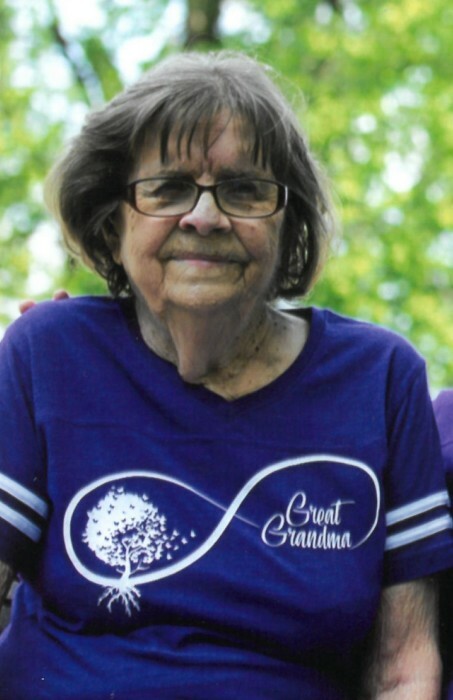 Shy passed away on Sunday, November 25, 2018, at Clarion Wellness and Rehabilitation, at the age of 82 years. She was preceded in death by her parents, Homer and Gladys Wicks; brother, Paul Wicks; sisters, Lila Johnson and Sue McKinnus and granddaughter, Ciara Loux. She is survived by her children: Celestin “Joe” Joseph Loux, III of Eagle Grove, Danita Loux of Holmes, Quinn Loux of Eagle Grove and Christina Whipple (Lonnie) of Eagle Grove; eight grandchildren: Josh Loux, Latoshia Heng, Felisha Loux, Nathan Hull, Meleah Stuckey, Cole Loux, Brandy Weidenhamer and Deric Oney; 14 great-grandchildren; sisters, Sharon Flaws (Dean) of Webster City, Betty Brenaman of Manson and Camilla Kosar of Marshalltown; brother, Bob Wicks (Cathy) of Florida and numerous nieces and nephews. Visitation is Friday, from 4:00 to 7:00 p.m. at Foust Funeral Home in Eagle Grove. Burial at a later date will be in Rose Hill Cemetery.